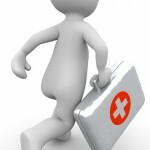 Lacking on a good source for first aid training information? We'll patch you up. Being aware and having plan makes all the difference when if comes to first aid. 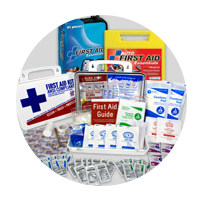 In this section of our blog we will explore articles discussing the basic elements of what to include in a first aid plan & where to purchase these products. 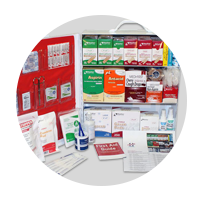 Also success stories and training resources regarding soft tissue injuries, bleeding control, symptoms for shock & shock treatment, burn treatment, musculoskeletal injury first aid, medical emergencies, convulsions & seizures, poisoning first aid, head & cold emergencies, and more. With Spring weather come sports and outdoor activities. This means bumps, bruises, scrapes and other not-so-fun surprises. Most useful for Spring is treatment of musculoskeletal injuries. Sprains, Strains, Contusions and Fractures are very common side-effects of vigorous physical activities. Rest – Do not move or straighten the injured area. Immobilize – Stabilize the injured area in the position it was found. Minimizing movement can prevent further injury. Elevate – Elevate the injured part only of it does not cause more pain. This entry was posted in First Aid Training and tagged musculoskeletal injuries. Sprains, Strains, Contusions, Fractures, rest, ice, compression, elevation on March 28, 2016 by American CPR Training Team. How can you know when to suspect internal bleeding? If a rescuer suspects the casualty has internal bleeding or injuries, the rescuer should call 911 / EMS immediately! Do not wait! Severe bleeding can cause the casualty to go into shock and is a life-threatening emergency. This entry was posted in First Aid Training and tagged internal bleed, life threatening on March 11, 2016 by American CPR Training Team. As a rescuer, you are of zero help to a casualty if you get injured yourself. Before rushing in to assist another, take a moment to assure the environment is safe for you. Assessing a scene should only take about 5-15 seconds, although there are a number of important issues that need to be evaluated during this brief period. Check the area for Danger! Determine whether or not the environment poses a hazard to you as a rescuer. If a scene is unsafe, do not enter it. If the area is not safe to approach, stay back and call 911. This is especially important to remember when dealing with emergencies involving confined spaces, fire, electricity, chemical spills, and other situations where the rescuer may become another casualty. During this phase you should also attempt to determine the number of casualties, the nature of the injuries, and any clues to the cause of the injury. Once it has been determined there is an emergency, it is time to activate and alert the Emergency Medical System. If possible, enlist others to help so you may begin care of the casualty. Ask a bystander to activate EMS by calling 911, or if no one else is available to assist, the rescuer should make the call themselves. Try to speak calmly and include important information such as the location, phone number, and the casualty’s condition. Stay on the line with the 911 dispatcher. 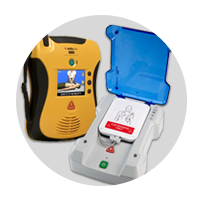 If a rescuer suspects the casualty is experiencing a cardiac emergency, the rescuer should have an assisting bystander return with an AED if one is available as well as the nearest first aid kit or other rescue supplies. The first things to look for are conditions that may threaten a casualty’s life. The rescuer should begin treatment and primary assessment by talking to the casualty if conscious. Rescuers will then want to control severe bleeding and treat for shock or other serious injuries or illness. If there are no obvious signs of responsiveness such as movement, talking, coughing, or breath – or if there is only gasping or inadequate breathing, then immediate action is required! If the casualty is unresponsive, then either full C.A.R.E. 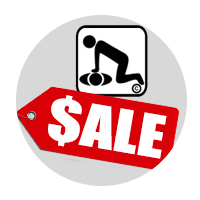 CPR™ or Compression-Only CPR™ is required. If there are more than one casualty, a rescuer should refer to the triage section for assessment and assisting. Evaluate for confusion or unresponsiveness. If the casualty has been unconscious for any length of time, immobilize the head and neck, and activate EMS immediately. Perform a head-to-toe evaluation. Look for signs of trauma, bleeding, deformity, embedded or impaling objects, discoloration, or anything that might be of concern. Be sure to locate any concealed injuries that may be more life threatening than the obvious injuries that may be noticed first. To determine if an individual may have a potential fracture, a rescuer may simply ask the casualty if they can move the area without causing pain. If the casualty is unable to move the area, or if it causes significant pain, do not allow them to move it, and treat it as if known to be a fracture. Is the casualty responsive? If there are no obvious signs of responsiveness such as movement, talking, coughing, or breathing; or if there is only gasping or inadequate breathing, then immediate action is required! If the casualty is conscious and talking, then it is evident that the casualty is breathing and has a heartbeat. Is there severe bleeding? 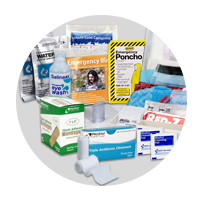 See Bandaging a Wound for minor bleeding and Stop the Bleed for serious bleeding guidance. Is there severe shock? See Shock section for specific treatment. These items must be dealt with in order of their severity. For example, although any of these situations could cause a fatality, severe bleeding should not be addressed until Step 1 (Unresponsiveness, which may include breathing and heartbeat), has been remedied, as these are a more immediate threat to life. Interview the casualty and/or bystanders. Inquire about allergies, medical conditions and the use of any medication. Check for vital signs. Check for level of consciousness and alertness. Breathing and pulse should be regular. Perform a head to toe check. Avoid any movement if you suspect a muscle, bone, head or spinal injury. Check the casualty for normal body temperature with the back of the rescuer’s hand. If the casualty does not have any neck pain, have the casualty move their head back and forth and side to side to check for injury. Check the nose, ears and mouth for blood or fluids. Check the shoulders by asking the casualty to shrug their shoulders. Check the abdomen and chest for internal injuries by having the casualty breath deeply. Check the casualty’s arms and legs for additional injury by having them move their limbs slowly. Continue to monitor casualty for consciousness. The casualty’s condition can suddenly worsen, so it is important to continue to watch for any changes and be ready to perform CPR if necessary. As the rescuer waits for Emergency Medical Services to arrive, the rescuer should have the casualty rest comfortably and calmly reassure them that help is on the way. This can be one of the most important acts a rescuer can do to help the casualty. If a rescuer can help keep the casualty calm and comfortable, it is possible to prevent them from going into to shock or deeper, more severe shock, which is a life-threatening condition. 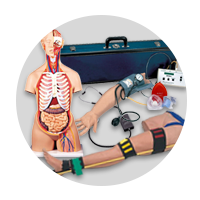 This entry was posted in First Aid Training and tagged cpr, emergency, primary assessment, first response on March 4, 2016 by American CPR Training Team. Shock is defined as inadequate tissue perfusion, which means that, during shock, the tissues of the body do not receive adequate oxygenation. This is because the brain goes into "survival mode" and shunts as much blood as possible to itself, and other vital organs, leaving the less critical functions of the body under supplied with oxygen-rich blood. Shock is a potentially lethal condition that can be caused by a number of things. Injuries involving blood loss, burns, significant pain, allergic reactions, or simply fear or neglect can trigger shock in an individual. If left untreated, shock can progress to the point where the majority of the body’s blood is made unavailable to vital tissues and organs, causing a drop in body temperature, lowered level of consciousness, and ultimately organ failure and death. Because shock is commonly associated with other types of injury, it is important to recognize the signs and symptoms of shock while a rescuer is treating a casualty, before it becomes life threatening. To assist a casualty experiencing these signs and symptoms, immediately begin treatment by calming and reassuring the casualty. Sit or lie the casualty down in a position of comfort on the floor or other firm surface. Maintain the casualty’s body heat by placing a blanket around them. Continue to monitor the casualty while awaiting the arrival of Emergency Medical Services. The casualty’s condition can suddenly worsen, so it is important to continue to watch for any changes and be ready to perform CPR if necessary. Shock can also be caused by an extreme emotion. In this case, the blood vessels dilate, causing blood pressure to drop. Fainting (syncope) is a form of shock and can be caused by a temporary lack of blood to the brain. It is often caused by an extreme emotion such as fear or anxiety. The casualty will usually become conscious again after a few minutes. Treat the casualty as you would for any type of shock. If there is any doubt or injury, call 911 / EMS. This entry was posted in First Aid Training and tagged shock on March 3, 2016 by American CPR Training Team. Do Bruises require First Aid Treatment? Yes. A Bruise or Contusion ~ A contusion is another name for a bruise. It is usually caused by blunt trauma; as in the case of a baseball bat striking an arm or a car accident. The purple discoloration is caused by crushed blood vessels leaking blood into the surrounding tissues. Often these areas will swell with other body fluids and cause lingering pain or discomfort. The proper treatment of a bruise or contusion is the careful application of ice. An ice pack will constrict the injured blood vessels to help control bleeding, reduce swelling in the area, and eliminate some of the pain. Elevation may also help to minimize swelling and bleeding. Get permission to give care. Apply ice or a cold pack to help control pain and swelling. Fill a plastic bag with ice or wrap ice with a damp cloth and apply it to the injured area for periods of about 20 minutes. Place a cloth, or a thin barrier such as a gauze pad, between the source of cold and skin to prevent injury. Elevate the injured part to reduce swelling. DO NOT elevate if it causes more pain. Never apply ice directly to the skin as prolonged contact may result in frostbite. Make sure there is a sterile barrier between the ice and skin surface. This entry was posted in First Aid Training and tagged cold pack, instant cold compress, treating a bruise, contusion on February 27, 2016 by American CPR Training Team. It is cold. This is dangerous. Whether at home or at work, you should understand the signs and symptoms of cold stress and cold-related injuries and act to prevent them. When exposed to cold temperatures, your body begins to lose heat faster than it can be produced. Prolonged exposure to cold will eventually use up your body's stored energy. The result is hypothermia, or abnormally low body temperature. A body temperature that is too low affects the brain, making the victim unable to think clearly or move well. This makes hypothermia particularly dangerous because a person may not know it is happening and will not be able to do anything about it. Symptoms of hypothermia can vary depending on how long you have been exposed to the cold temperatures. Move the victim into a warm room or shelter. Warm the center of their body first-chest, neck, head, and groin-using an electric blanket, if available; or use skin-to-skin contact under loose, dry layers of blankets, clothing, towels, or sheets. Warm beverages may help increase the body temperature, but do not give alcoholic beverages. Do not try to give beverages to an unconscious person. After their body temperature has increased, keep the victim dry and wrapped in a warm blanket, including the head and neck. If victim has no pulse, begin cardiopulmonary resuscitation (CPR). This entry was posted in First Aid Training and tagged cold, cold injury, cold stress. hypothermia on February 18, 2016 by American CPR Training Team. While Employers have a responsibility to provide bloodborne pathogen safety training when exposure to blood or other potentially infectious materials exists in the workplace (even when only as part of a collateral duty, like performing CPR or First Aid) and the further obligation to provide personal protective equipment for guarding against exposure - Employees have an obligation, too. See all types of PPE for BBP! Employees have the responsibility of using PPE whenever the possibility of exposure to blood or body fluids exists. This equipment must not allow blood or OPIM to pass through to the employee’s clothes, skin, eyes, or mouth. 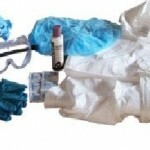 • When handling materials or individuals contaminated with blood or OPIM, rubber gloves must be worn. Hypoallergenic gloves must be made available for individuals with allergic reactions to latex products. • Single-use gloves must be replaced as soon as possible after they have been contaminated or if they become torn or punctured. • Latex or rubber gloves should never be washed for reuse. 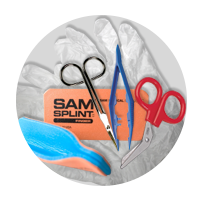 • Rubber gloves are not sufficient protection for the handling of contaminated sharp objects such as needles or broken glass. For these functions, use heavy gloves, tongs, or other appropriate equipment that eliminates the risk of puncture and exposure. • Inform your employer of any PPE improvements that you feel must be made to ensure your safety on the job. 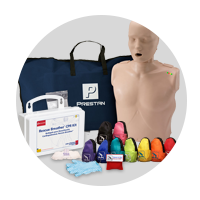 This entry was posted in CPR Training, First Aid Training, BBP Training and tagged BBP, Bloodbirne Pathogens, Bloodborne Pathogen standard, Bloodbirne Pathogens Training, PPE, personal protective equipment on January 24, 2016 by American CPR Training Team. Get involved: We need to be a Nation of By-Doers, not By-Standers. Lives are saved by intervention of friends, neighbors, and strangers before EMS arrives every day. 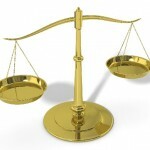 Fear of retribution: Unfortunately, in this day of litigiousness, many people fear repercussions from getting involved. Isn't that sad? Wouldn't you rather have someone try to save your life than stand by for fear of you our your family suing them afterward? Gotcha covered: The good news is that in almost every state of the union, the law has your back. While some lawyers and individuals may unscrupulously pursue any avenue to chase a buck, lawmakers understand that life supersedes all other concerns. While the actual statutes vary, the "essence" of Good Samaritan Legislature in most jurisdictions is that a Bystander, acting in good faith, attempting to perform first aid, cpr, or rescue using an AED cannot be held civilly liable for unintentional harm caused to a victim while attempting to resuscitate or otherwise perform lifesaving aid. So what are the "ground rules"? 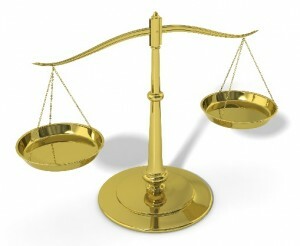 You must act in good faith. You are neither reckless nor negligent. Act as a prudent person would. Only provide care that is within the scope of your training. You must not abandon the victim once you have begun care. You must not accept anything in return for your services. If the victim is seriously ill, extremely confused, or unconscious, he or she may not be able to give consent. The law then assumes that the victims would most likely give consent if they could, so assistance may be given without verbal permission. What are we talking about here? 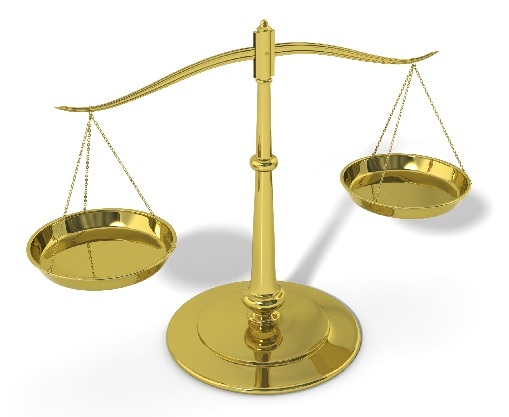 Moral or Legal? This is the humdinger... 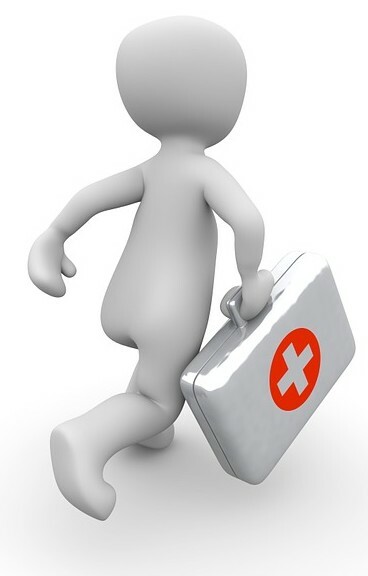 Depending on the specific State Law, most licensed and/or certified professionals, medical personnel, public safety officers and medically trained government employees have a “duty to act” while they are working or on assignment. If responding to an emergency while not on duty, the same person would be protected as a bystander choosing to provide care under the Good Samaritan Laws. This area of concern has been in the media a lot lately - especially regarding senior care and "do not resuscitate" orders. Rhode Island specifically applies their Good Sam to anaphylactic shock care, too. Texas has one of the most simple and broad Good Sam Coverage Statutes: Persons not licensed or certified in the healing arts who in good faith administer emergency care as emergency medical service personnel are not liable in civil damages for an act performed in administering the care unless the act is wilfully or wantonly negligent. This section applies without regard to whether the care is provided for or in expectation of remuneration. This entry was posted in CPR Training, First Aid Training, AED Training, Odd Bits of News & Trivia, Bleeding Control and tagged Bystander, Intervention, saving lives, Good Samaritan Act. Good Samaritan Law, Good Samaritan on January 20, 2016 by American CPR Training Team. 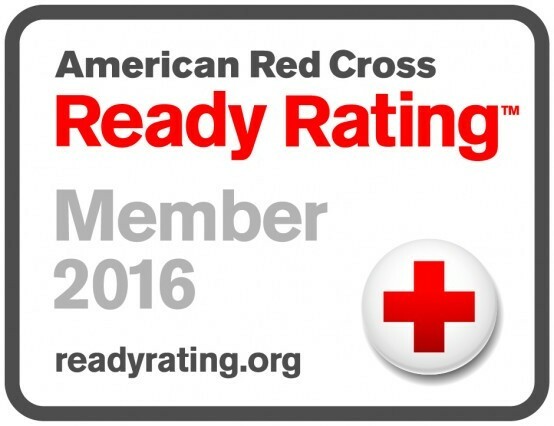 Have you heard of the American Red Cross Ready Rating Program? 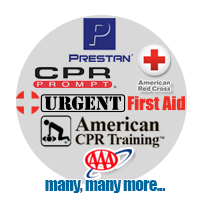 We've been members here at American CPR Training™ since before it began. We feel very strongly about participation in the Ready Rating program and strongly encourage you to join. It is 100% free. What is the Ready Rating Program? 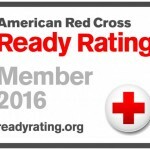 Why should you join is the Ready Rating Program? Whether your are an American CPR Training™ Client, Affiliate Instructor, Student, or just a reader of our articles, there are great free benefits for you by becoming a Ready Rating Member. 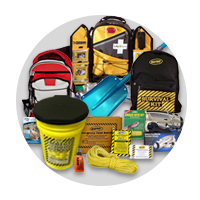 See all our American Red Cross Emergency, Disaster, Survival, First Aid, & CPR Products! 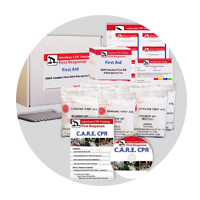 This entry was posted in CPR Training, First Aid Training, AED Training, BBP Training, Bandages and First Aid, Emergency Preparedness and tagged arc, red cross, american red cross, ready rating on January 15, 2016 by American CPR Training Team.